It's Tuesday and that means another episode of Tippin' on Tuesday! I hope you enjoy today's card. 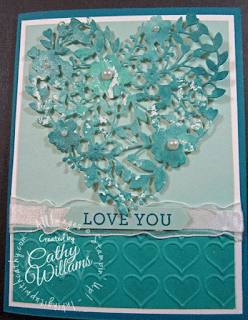 Patty Bennett recently did a video using the Bloomin' Love die and a sponging technique. 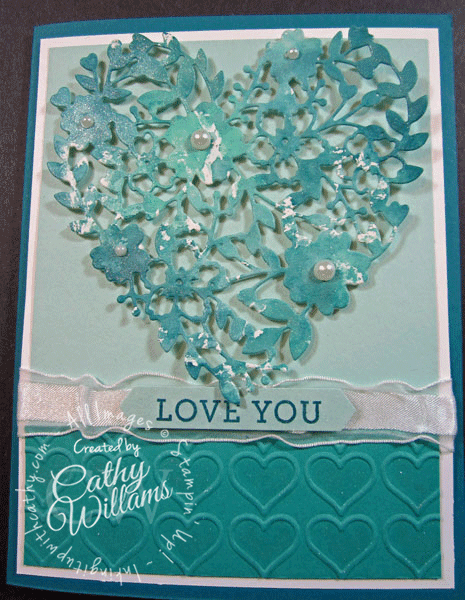 I loved the card and decided to make my own using a different technique which I am sharing with you today. I call it the Smooshed Cling Wrap technique and is a quick and easy technique. Clean up is a cinch too! Just wad up the cling wrap and throw it away. Also in the video, I show you the technique I used to get the crinkled ribbon.